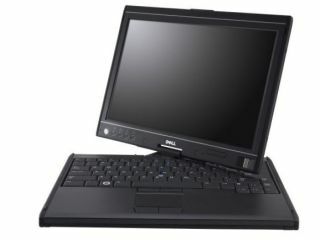 Dell is set to release a new Latitude Z laptop later this year that is able to be charged-up wirelessly. That's right folks! Users will be able to send electricity through the air with Dell's cordless charging tech. The Dell Latitude Z is squarely targeting the high end of the laptop market (that segment currently pretty much owned by Apple) with a premium design, bleeding edge tech specs and this new wireless charging tech. The latest Dell laptop will feature a 16-inch display, an (as yet unannounced) Intel processor and – well, beyond that details are currently hidden somewhere deep within Dell HQ. TechRadar has contacted Dell UK for further details on the new Latitude Z. We are particularly keen to know more about how this wireless charging feature is set to work. Palm has pioneered wireless charging for mobiles with the Palm touchstone.